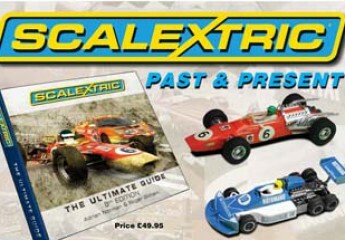 The Ford XR4i model was not released by SCALEXTRIC but was shown in the 1984 catalogue in bue and yellow liveries. C334 and C335 Ford Sierra XR4i, never issued although illustrated in catalogue 25. The reason SCALEXTRIC may not have released the 3-door XR4i version with extra rear side-window pillar was that the race car had a full length rear side-window without the separating pillar and quickly became a race winning Touring and Rally car in the real world of racing and, therefore, Ford may not have granted permission for Hornby to make the ‘older’ version. This XR4i model was dropped altogether and the Ford Sierra Cosworth continued in the SCALEXTRIC range with different tooling.. In the real world, Ford released the Ford Sierra MK1 in 1982 as a four door saloon with lifting rear tailgate door. The two-door version went on to be an iconic track and rally car. One of these was the evocative Ford Sierra RS500 Cosworth. One of the most famous and instantly recognisable touring cars ever, the RS500 came to dominate Group A Touring Car racing the late 1980s, taking wins and breaking records across the globe. A high performance version, the XR4i, was introduced in 1983, using the same 2.8-litre Cologne engine as the Capri, which in the hands of Andy Rouse went on to take the 1985 British Touring Car Championship.Using the Sierra’s lighter three door bodyshell to which a range of spoilers, wings and flared wheel arches were added, made the car look like nothing else on the road, and a design which can still be considered a classic today.On the track the Sierra RS Cosworth was bigger, faster and handled better than it’s predecessor and returned the Blue Oval to the winner’s circle in touring car racing.